The word “mahout” is often misunderstood and misused. The term derives from Hindi and means elephant keeper. In Thai the term is kwan chang and is often translated as “one who walks with an elephant”. Traditionally, the role of a mahout passes down patrilineally along with ownership of a family’s elephants. Being a mahout was never very profitable: they were probably on a par with farmers. But historically mahouts were held in high esteem because they and their elephants were useful in times of war. Again, traditionally, a mahout usually owned his elephant and typically worked with a single animal throughout its life. Today, the picture is very different. Like the issues facing elephants in Thailand, the issues facing mahouts have changed drastically with the evolution of the tourism industry. Many mahouts are members of indigenous groups or immigrants from Myanmar, working more as low-status day labourers rather than as traditional mahouts, and the lifelong bond between keeper and creature is becoming a thing of the past. In response to devastating flash floods caused by unregulated deforestation, the Thai government passed legislation banning all private logging. The ban was not based on concern for elephants and the ban made no allowance for the 2,000 elephants and mahouts in the industry. Many families were left in dire need of funds to feed and maintain their elephants. With few options, many elephant owners either travelled across the border to Myanmar, where logging was still legal, or brought their elephants to cities where they would beg for money from tourists. The problem of “unemployed” elephants is often highlighted by those in the elephant tourism industry but this narrative fails to address fully the issues facing mahouts and elephants. The labor standards we use to analyse the human workplace should not be a measure of elephant welfare, and discussing “elephant employment” can conflate these two distinct ideas. 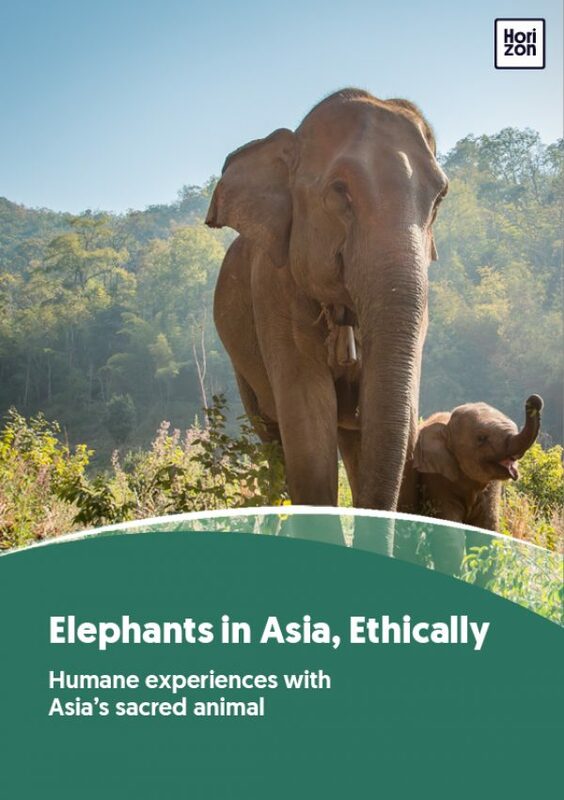 Mahouts are the ones employed in the elephant tourism industry, not elephants. It is always important to examine the rhetoric used to discuss elephants and mahouts and be careful of anthropomorphising elephants into human labourers, and animalising human workers. Since 1989 Thailand’s tourism industry has grown beyond all recognition. While tourist arrivals boomed (in 2013 Bangkok was the most visited city in the world), new solutions for unemployed mahouts and their elephants emerged. Tourism, more specifically ecotourism, offered much better solutions for elephant welfare and mahout economic security than begging and illegal logging. But with little infrastructure or regulation in place, the emerging industry was ripe for exploitation. The industry is structured so that mahouts are underpaid, overworked, and left without options. Although many own their elephants and do all the hard labor, camps still take the vast majority of their income, leaving the mahouts to live on tips. Life today is hard for mahouts and their families. They can be left with no option other than to take the family’s elephant to the city or tourist area to earn a living. They often have young children and wives whom they may only see once a year. They are often more aware than anyone that conditions are incredibly harsh in the tourist camps. Elephants have to be restrained on short chains and suffer a poor, unvaried diet. The animals have virtually no social interaction and cannot thrive. The mahouts have to work long hours to supplement poor salaries with tips and often live in very basic shacks in the camps with poor hygiene facilities and sometimes even with no running water. To make matters worse, unscrupulous camps will often employ the cheapest labor possible. They hire young and inexperienced men who are often frightened of the animals in their care, which easily leads to abuse and accidents. These men are not “true” mahouts with generations of knowledge behind them and, sadly, bad reputations turn into stereotypes. All mahouts get labelled as forceful and abusive. At Mahout Elephant Foundation we are proud to work with the most incredible mahouts. When we ask them what a good mahout is, their answer is simple: “someone with a good heart”. The mahouts in our community come from generations-long lineages of caring for elephants. They are members of a Karen hill tribe from northern Thailand, and the compassion and understanding they have of their elephants is at a level few of us can hope to understand. The animals are considered family members. Working collaboratively we are helping to return elephants from a life of work back to an area of protected forest. Here the elephants can be themselves, foraging freely, bathing in rivers, mud bathing and dusting. Most importantly, they are able once again to live in social family groups and make decisions as a herd.